Members of the Windom Rural High School 8-man football team. They were McPherson County League Champions in 1957 and 1958. 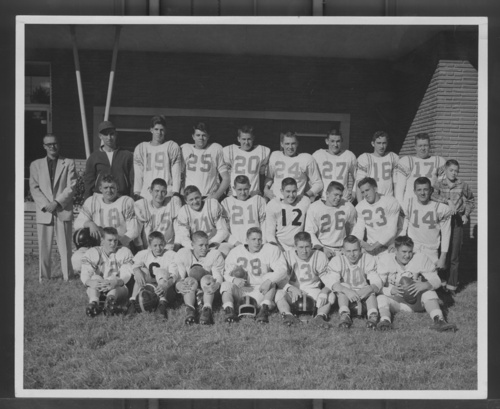 In 1956, Windom Rural High School was the first school to experiment with eight-man football. Official play of eight-man football did not begin until 1957.